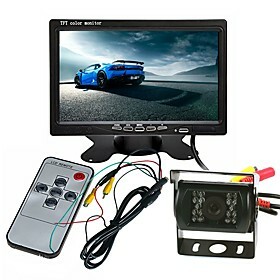 .Vehicle Camera Recorder with 2.7" TFT Colorful Screen.2.7" TFT color screen display. Image sensor:1/4 color CMOS WXGA HD Sensor Recording. Repeat storage by section:2/5/15 minutes. Lens:120 Degree. Recording resolution: WXGA:1280 x 960 Pixels /WVGA:720 x 480 Pixels / VGA:640 x 480 Pixels. Video Format: Mjpg. Camera: Support. Power input: DC5V. 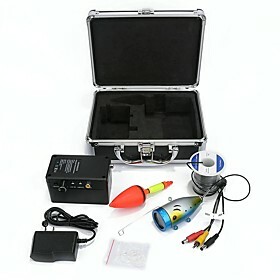 Power source: Built-in rechargeable battery or Car Charger. Memory: No internal Memory Supporting external TF card(From 1GB up to 16GB) .Interface: USB2.0.What's in the box:1*Charger, 1*The Device, 1*USB cable, 1*User manual. BRD Security Products are unique in producing security equipments. We improve your security by manufacturing Surveillance Hidden Cameras and real time GPS Trackers for any of your place. We help you to monitor your place from anywhere with our advanced technology. We help you to catch the thieves red-handed by installing our finest quality Hidden cameras. Our goal is to keep people safe and to prevent them from trouble. Unique design with strong concealment. Functions - video audio motion detection loop recording. 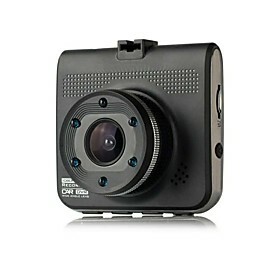 HD camera with 12 mega pixels clear shooting image with 1080P effect. HD MOV format with H.264 coding recording audio and video simultaneously. Independent camera functions - the pixel of the photo can reach 4032x3024 12 mega pixels. External maximum memory - 32GB. Perfect for business meeting interview or security. Video Resolution - 1920x1080 30fps or 1080x720 60fps. WIFI Support System - IOS6.1 above android 4.0 above. WIFI Function - Photo transport remote control setting Gallery sync and share. Supporting System - Windows me/2000/XP/2003/Vista Mac OS 10.4 Win7. Interface - MINI5Pin USB HMI Micro SD TF. Battery Type - High volume Lithium Battery Battery Capacity 560MA. 1x WIFI 1080P Pen Camera. This latest 3ATM waterproof design watch is durable and high quality features with functions such as HD 1080p video resolution photo capture night vision along with invisible infrared LEDs video and separated voice recording. Videos and pictures display in real time clock using HD 9721 illumination photosensitive chip and then video recording rate is up to 30fps and can be used as HD PC web camera. Furthermore its operating system or mainstream contains movie playback software supports system like Mac 10.4 or newer Linux and Windows Me/XP/2000/2003/Vista/Win7. This waterproof watch is ideal to wear at work or during outdoors especially for sports hiking or camping. When you are holding your water cup no one would come to think it is a multi-function cup hidden with recorder and camera. How crazy is that? Basically with its multi-function and motion detection capability you can utilize them to its fullest. Such as when you are sitting to read and would like to record your surroundings; record minutes for business meetings; record lecture notes that you can review later on; and record those that you think are worthy of recording safety and merry to use. Furthermore the batteries can last 5 to 6 hours of recording time convenient for usage and can support up to 32GB of the T-flash card (not included). The Stage Ninja CAM-12-MB Scorpion Series camera and digital device mount is the best camera and digital recorder stand anywhere! With a 60lb-rated magnet mount a 12 360&#176. gooseneck and now able to support a GoPro style mount the CAM-12-MB mounts securely to most metal surfaces and is excellent for film production live sound recording room recordings etc. Made in USA and lifetime warranty. The Stage Ninja CAM-12-CB Scorpion Series camera and digital device mount is the best camera and digital recorder stand anywhere! With a 12 360&#176. gooseneck an industrial clamp base and now able to support a GoPro sytle mount the CAM-12-CB mounts securely to nearly anywhere and is excellent for film production live sound recording room recordings etc. Made in USA and lifetime warranty. Use XLR-CJ to adapt unit to a 4 pin XLR end. Pyle PLCMTR78WIR 2.4Ghz Vehicle Camera & Video Monitor System with Wireless Video Transmission Waterproof Rated Cam Display - 7 in.